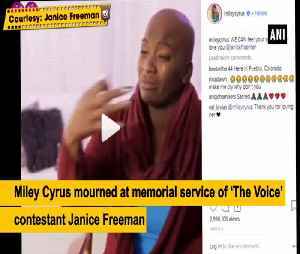 Jennifer Lopez and Miley Cyrus have both made touching tributes to celebrity hairstylist Oribe Canales, who passed away earlier this week. 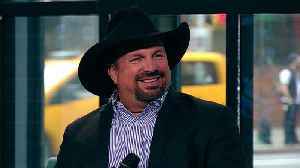 Garth Brooks discusses how playing music is completing his mother’s (who was also a singer) journey, how his daughter has been bitten by the music bug and how grateful he is to his fans for their..
Miley Cyrus is looking just like her alter ego, Hannah Montana, to win the #10YearChallenge. 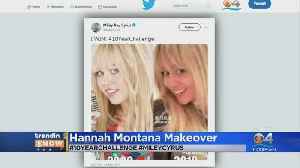 Miley Cyrus goes back to her Hannah Montana roots in a hilarious 10 year challenge on her Instagram story as she reveals her new hair do. .
Singers Garth Brooks and Trisha Yearwood talk about their date night with ET Canada’s Keshia Chante at the 2019 iHeartRadio Music Awards.